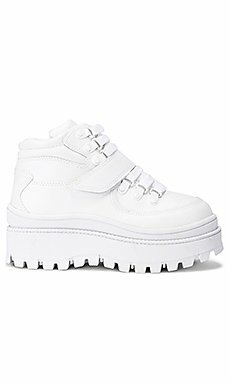 Shop for Jeffrey Campbell Top Peak Hiking Boot in White at REVOLVE. Free 2-3 day shipping and returns, 30 day price match guarantee. 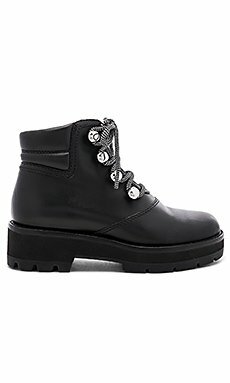 Shop for 3.1 phillip lim Dylan Lace Up Hiking Boot in Black at REVOLVE. Free 2-3 day shipping and returns, 30 day price match guarantee. Reinvention is the name of Ganni’s game. Specifically, the designers opt for a fresh and feminine approach to Scandinavian style. 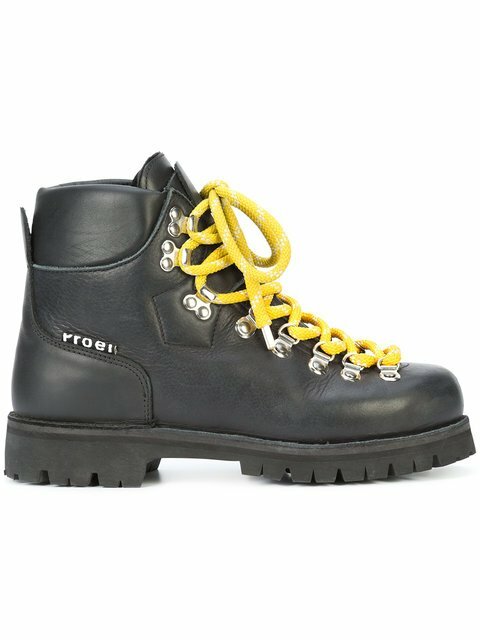 Made from leather and suede, these hiking-style boots have round toe, a lace-up front fastening and a ridged rubber sole. Copenhagen-born label Ganni pursues one single idea: the creation of wardrobe classics for the independent woman. Their pieces are intended to be worn differently, depending on ones individual style. 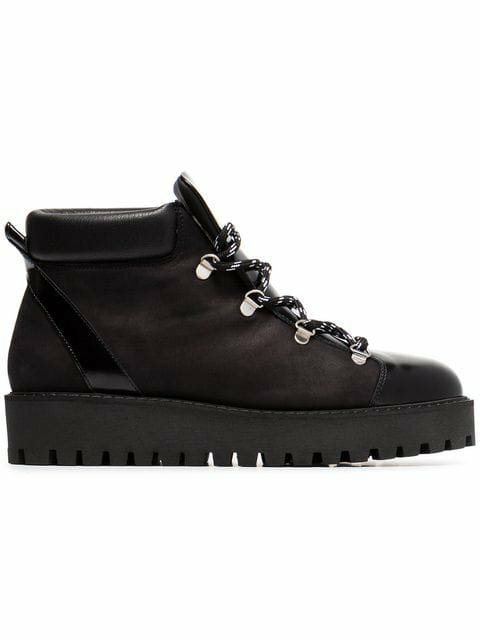 These black Alma shearling-lined leather hiking boots from Ganni feature a ridged rubber sole, an ankle length, a round toe, a lace-up front fastening and silver-tone hardware. ‘Luxury means you show the way you dress with eccentricity. It’s almost like a new kind of jet-set, instead of roaming around the world, you’re roaming with your clothes’ - words from Gucci’s visionary, Alessandro Michele. 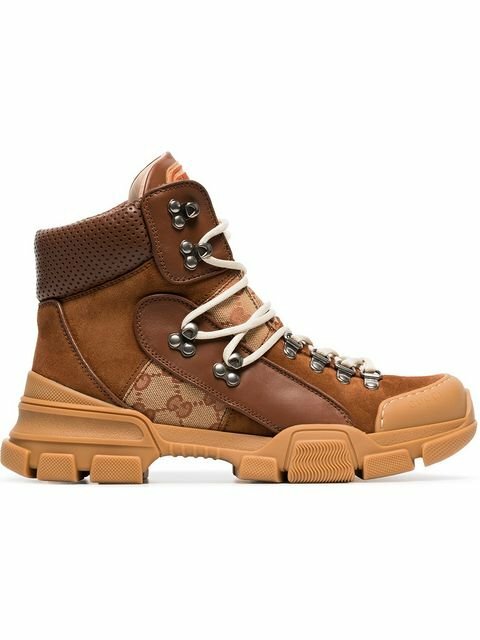 Crafted in Italy, these brown and beige Journey GG logo hiking boots from Gucci feature a ridged rubber sole, an ankle length, a lace-up front fastening, a round toe and silver-tone hardware. 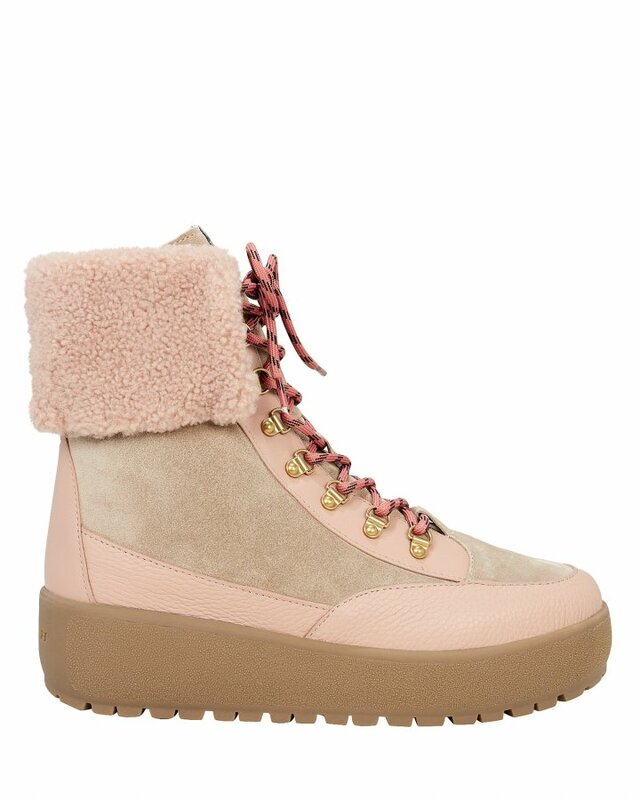 Get yourself kitted out for the season with these Hillary hiking style boots from Jimmy Choo's AW18 collection. Boasting a shearling front and lining they are perfect for chillier autumnal days and wintery weather. 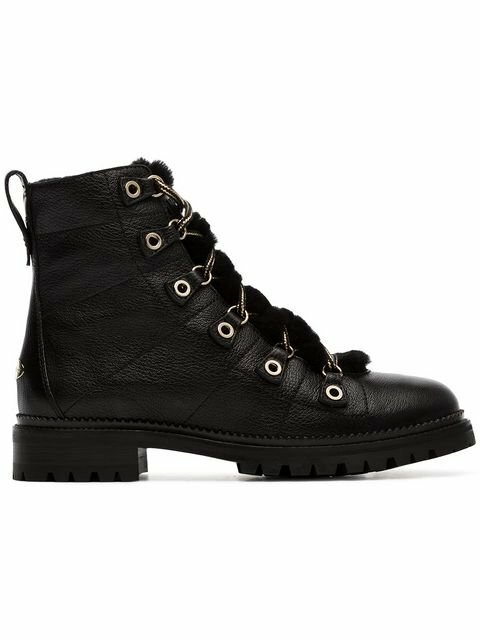 Featuring a round toe, a lace-up front fastening, a pull tab at the rear and a rear gold-tone logo plaque, these Hillary boots will work hard for you with their sturdy ridged rubber sole. 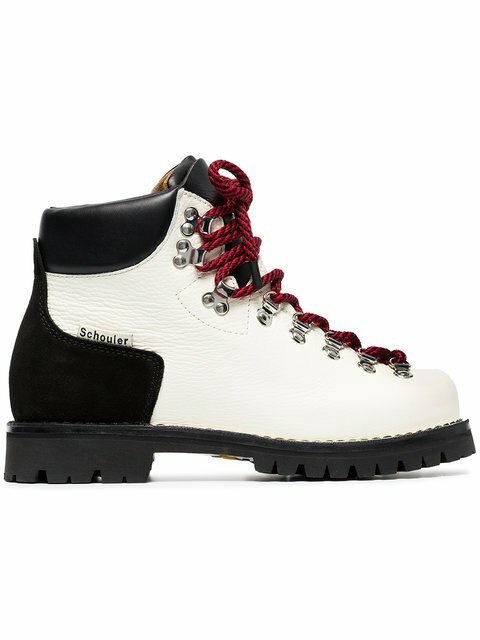 chunky hiking boots from Proenza Schouler. Luxury label Moncler was originally founded in 1952 by Rene Ramillon and specialises in functional outerwear pieces that seamlessly blend practicality and style. 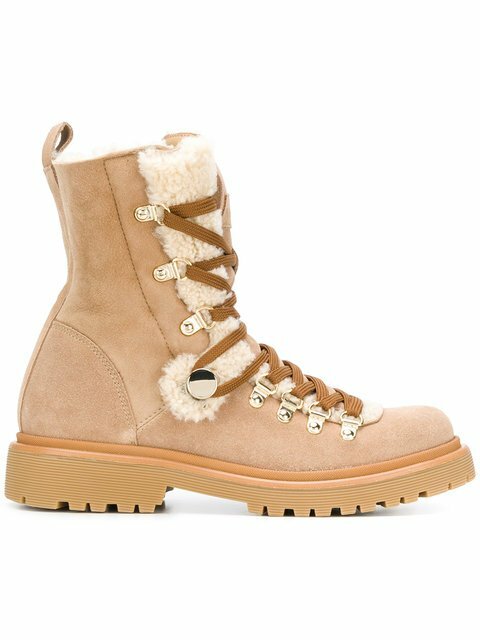 These beige leather blend shearling lined hiking-boots from Moncler feature a round toe, a lace-up front fastening, an ankle length, a pull tab at the rear, a ridged rubber sole, gold-tone hardware and a shearling lining. 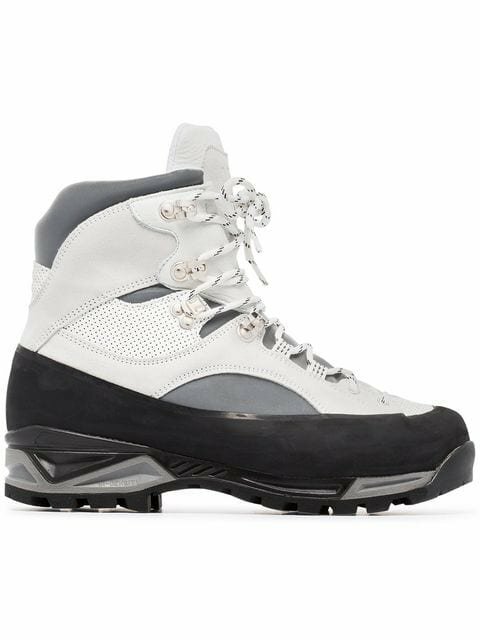 Black leather Lace Up Hiking Boot from Proenza Schouler featuring a round toe, a lace-up front fastening, a padded ankle, a non-slip rubber sole and silver-tone hardware. 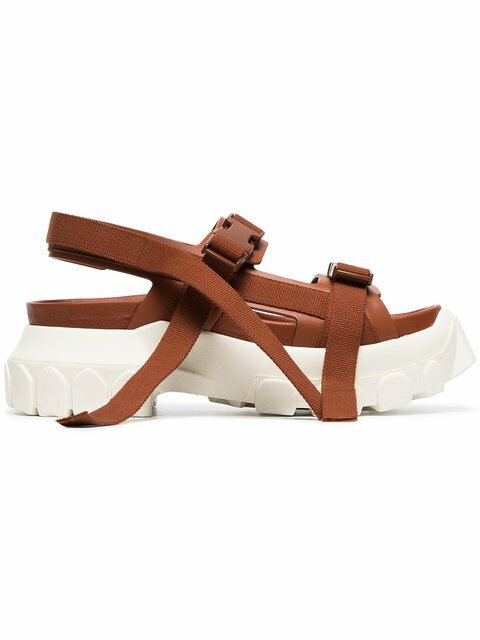 brown sisyphus leather hiking sandals from Rick Owens. 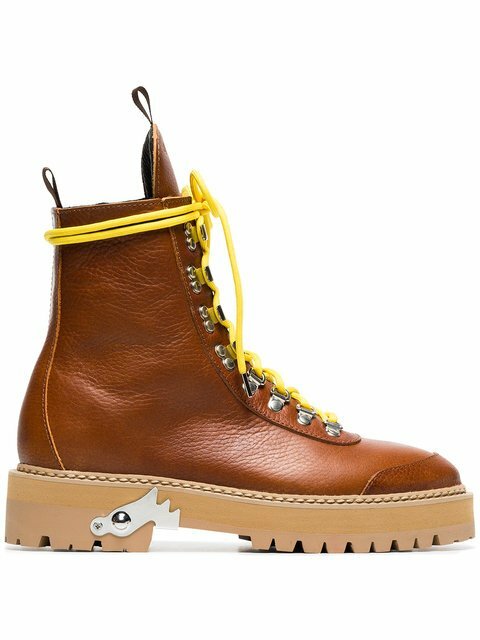 camel lace-up leather hiking boots from Off-White.